The Vantage Point: Perspectives on the Presidency. New York : Holt Rinehart and Winston, 1971. First edition of President Johnson’s autobiography. Octavo, original red cloth, pictorial endpapers, illustrated with 72 pages of photographs. 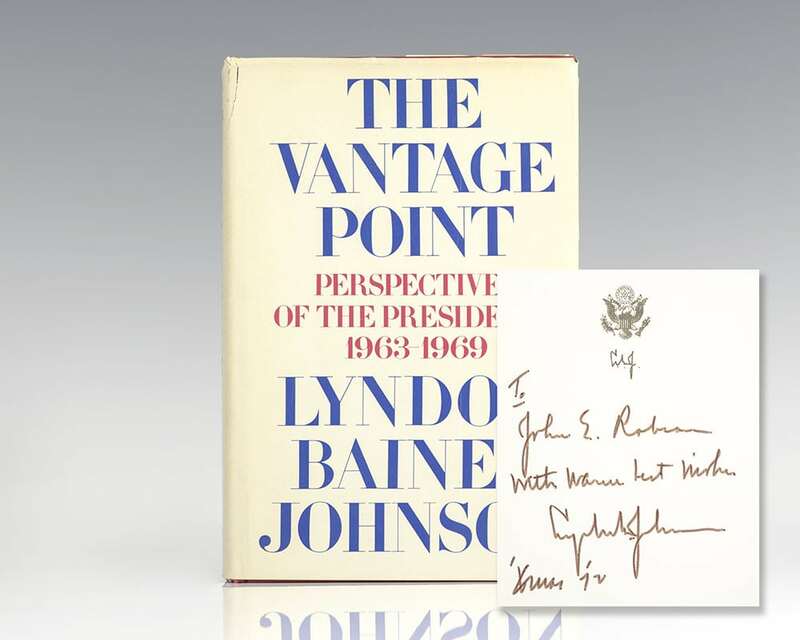 Presentation copy, warmly inscribed by Lyndon B. Johnson on an official White House bookplate, “To John E. Robson with warm best wishes Lyndon B. Johnson ‘Xmas ’72.” John E. Robson served as the Undersecretary of Transportation in the Johnson Administration in 1967. Fine in a near fine price-clipped dust jacket with light shelfwear. Jacket design by David November. Jacket photograph of Johnson by Y. R. Okamoto. A nice association. One of the most complex and fascinating men to occupy the Presidency of the United States describes his years in the White House. Johnson, Lyndon Baines and Lady Bird. Lyndon B. Johnson Signed Photograph. Color photograph of President Lyndon and First Lady Lady Bird Johnson couple in formal attire, signed and inscribed to the deputy director of the FBI, “To Deke de Loach-with our appreciation for your steadfastness and devotion to country-Lady Bird Johnson, Merry Christmas! 1968,” and “and Lyndon B. Johnson.” A presidential seal, green ribbon, calling card, and White House envelope are affixed to the reverse. Framed and in fine condition. 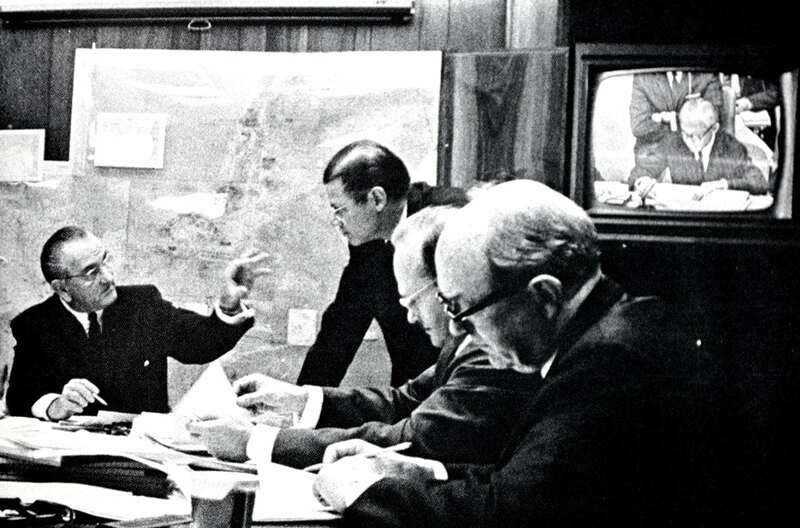 The recipient Deke DeLoach worked at the FBI for nearly thirty years and, in 1965, was promoted by Hoover to Deputy Director. 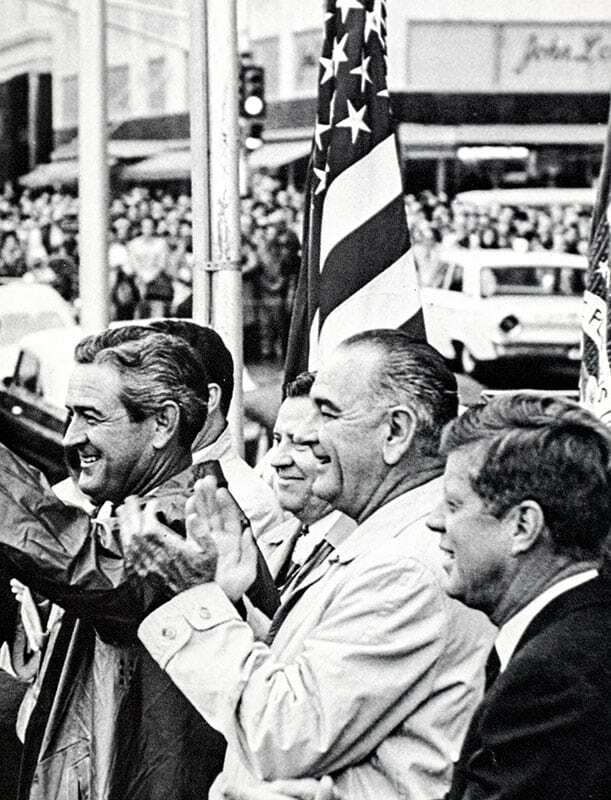 During his post, DeLoach was the third most senior official in the FBI after J. Edgar Hoover and Clyde Tolson and was the lead investigator in both the Kennedy and Martin Luther King, Jr., assassinations. The entire piece measures 11.75 inches by 14.75 inches.